May want to jampack nutrition into a single meal. Sandwiches and Parathas are amongst the first ideas that fit the bill and jump at you. They can be cooked in advance and taste fairly good even if cold….any other ideas that come to mind? I invite you to share ideas and recipes; I will publish them as guest entries. While I already have a few sandwich recipes on the blog, I am now blogging three variants of Parathas. Each is special and different in its own little way. While grown ups will certainly love them, they could be equally popular with your toddlers/ kids. For soft theplas try and knead soft dough. Also, you can vary the spices to taste. Thanx Ishita, this one is a gr8 help.. As my husband Ashish travels a lot.. Especially when he travels to China. How long can these be used? Namrata, I am glad you liked the recipe. These theplas can be used for upto 2-3 days. However, if you intend to use it longer for 5-6 days, just add methi ( about a cup) and no other vegetables to knead the flour. You could even add 5-6 cloves of grated garlic to the flour, to enhance the taste. 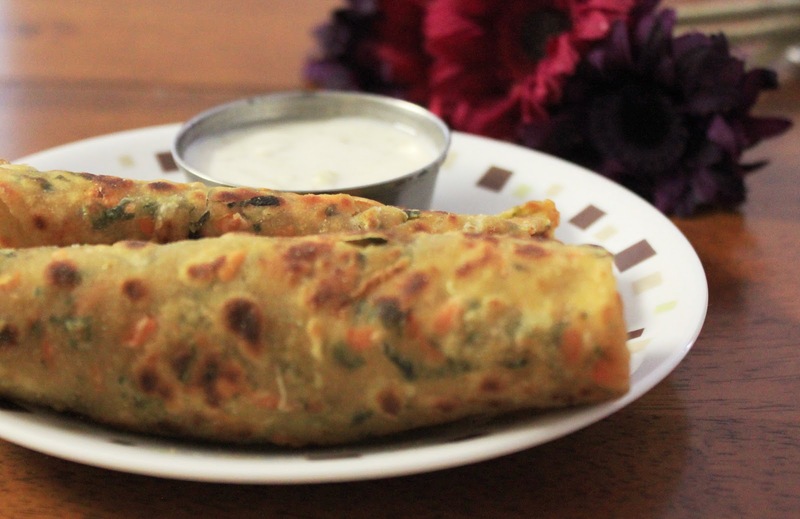 The other Paratha recipes that I hv posted could also last for 2 days (dal Paratha) and 2-3 days (Puran Poli), try them!! Good one..if you can share recipes for roti rolls or veg wraps….